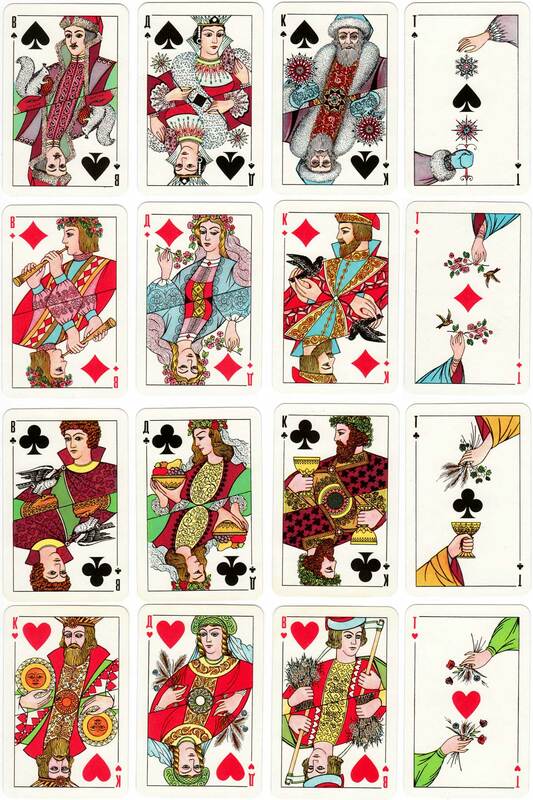 Originally titled “Seasons” or “Times of the Year” and first published by The Colour Printing Plant in St Petersburg in 1971, these cards were designed by artist U. P. Ivanov. Each suit is allegorical of one of the four seasons of Winter, Spring, Summer & Autumn. The graphic design is clear, decorative and geometrical, with straightforward symmetry and colour coordination in each suit. The attributes of the court figures add a touch of the theatrical and enhance the symbolism of the seasons, giving a sense of drama and overall integration to the design. The Joker's masks provide the means of transformation from one persona to another. 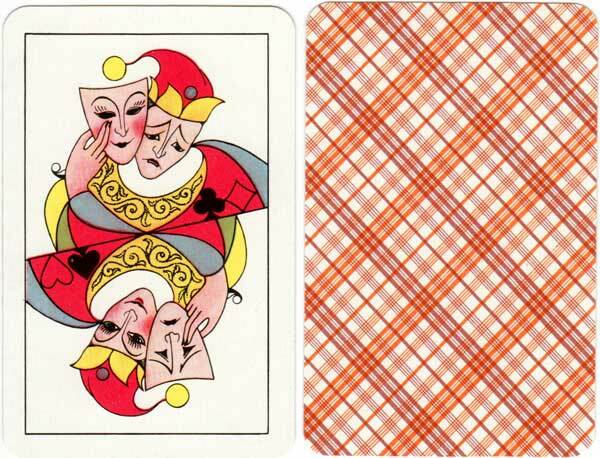 Above: “Seasons” playing cards first published by The Colour Printing Plant in St Petersburg in 1971, designed by U. P. Ivanov. 52 cards + 2 Jokers. Images courtesy Rex Pitts.